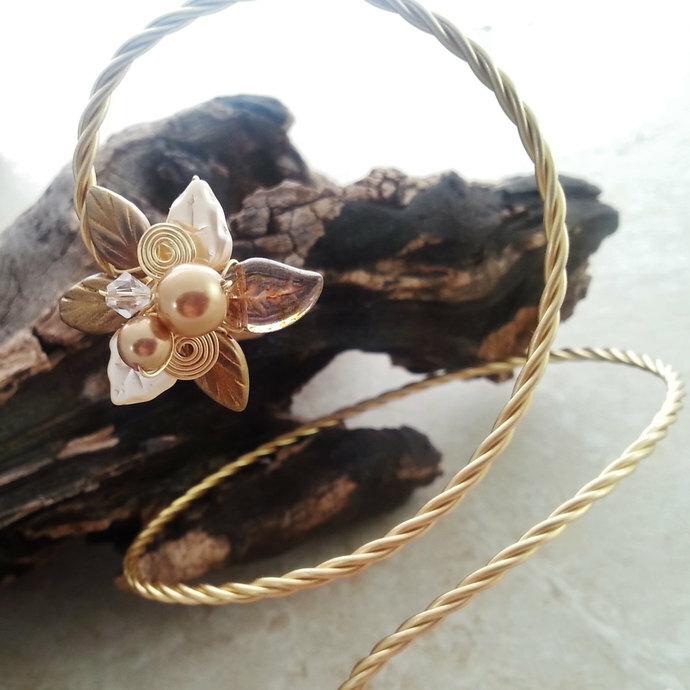 An art nouveau style bracelet or arm cuff to match my Golden Slumbers collection. 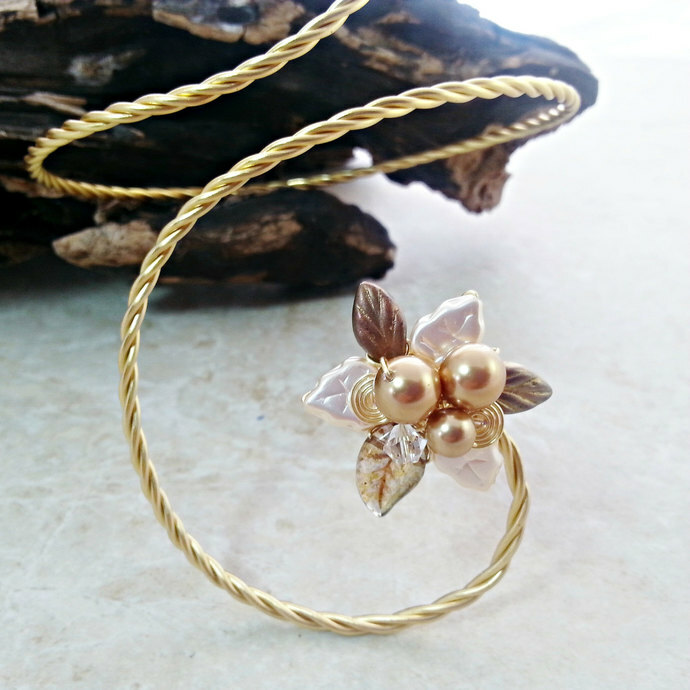 A bit vintage, a bit fae, this piece is perfect worn as an upper arm cuff or can be adjusted to wear as a bracelet. I wear mine as a very exotic ankle bracelet...there are many different possibilities! 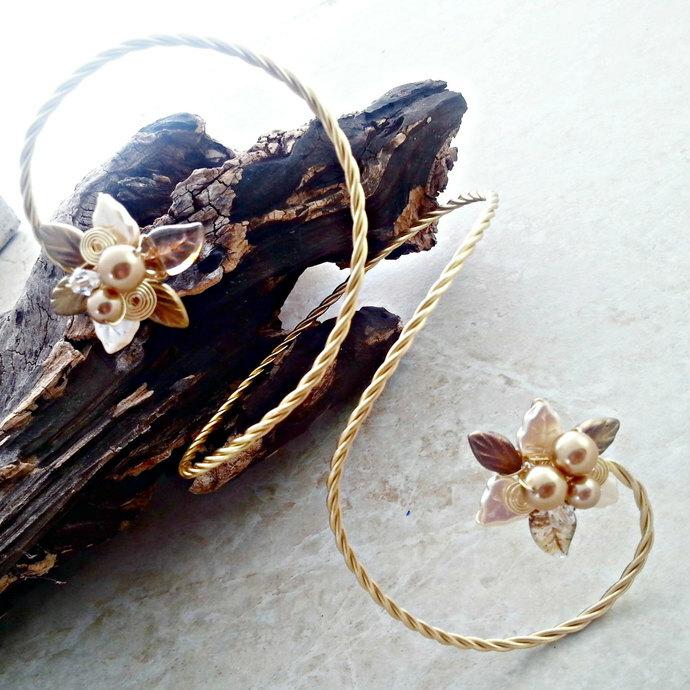 Also available with silver or copper wire. 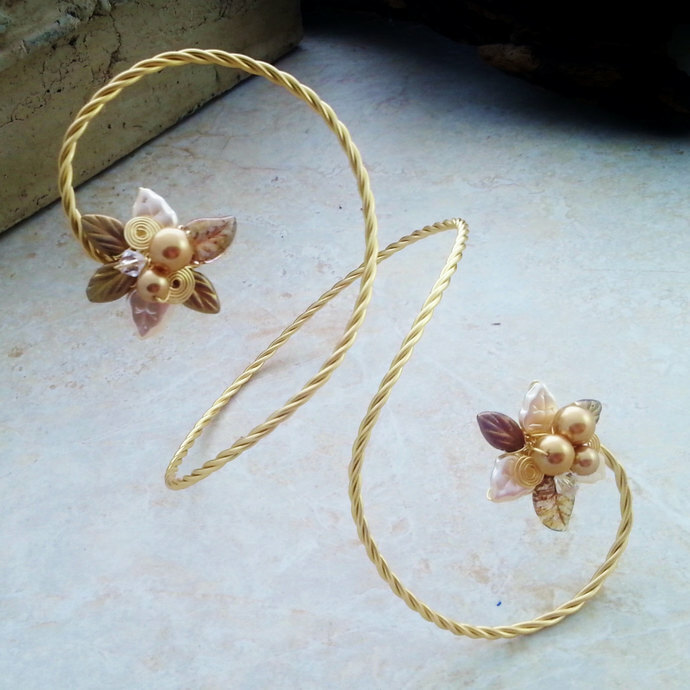 And I will sing a lullaby"
This cuff is fashioned out of 3 strands of non-tarnish wire, czech glass leaf beads and swarovski crystals.. A very personal cuff, you can mold it a bit once it is on to fit more precisely wherever you decide to wear it! The piece shown is designed specifically for the upper arm and is about 11" around. I am happy to make this to fit where you plan to wear it, so please convo me to discuss measurements.